igoo have just finished creating the artwork for Alma De Cuba’s upcoming Halloween night, which will revolve around a spine tingling freak show theme. 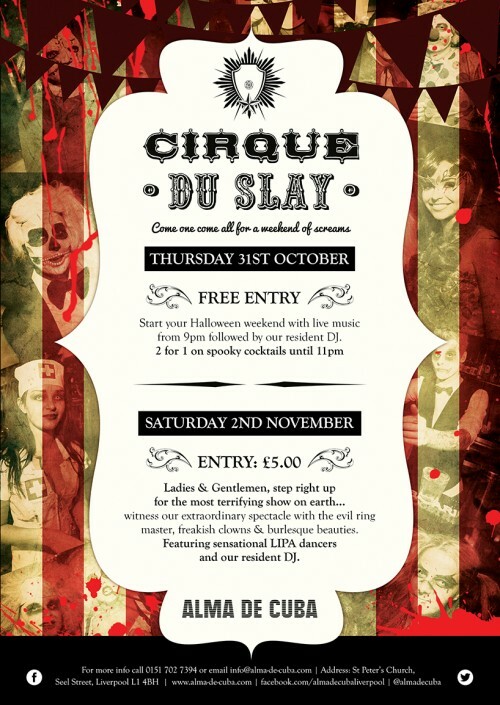 The weekend gets off to a scary start on Thursday 31st, with 2 for 1 on spooky cocktails and the fun continues to Saturday 2nd November, when Alma will be full of freakish clowns and burlesque beauties, all controlled by the evil ring master. Enjoy!